The New York Times bestseller, now available in paperback—a disturbing psychological thriller, reminiscent of Shutter Islandand Memento, in which an amnesiac desperately tries to uncover the truth about who she is and who she can trust. 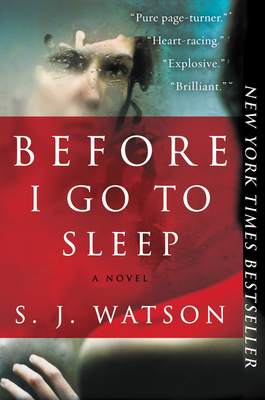 S. J. Watson makes his powerful debut with this compelling, fast-paced psychological thriller,reminiscent of Shutter Island and Memento, in which an amnesiac who,following a mysterious accident, cannot remember her past or form newmemories, desperately tries to uncover the truth about who she is—and whoshe can trust. S. J. Watson was born in the Midlands and lives in London. His first novel was the award-winning Before I Go to Sleep, which has sold nearly five million copies in more than forty languages around the world.